Here we have our latest Hot Hatch to add to our ever-growing collection! 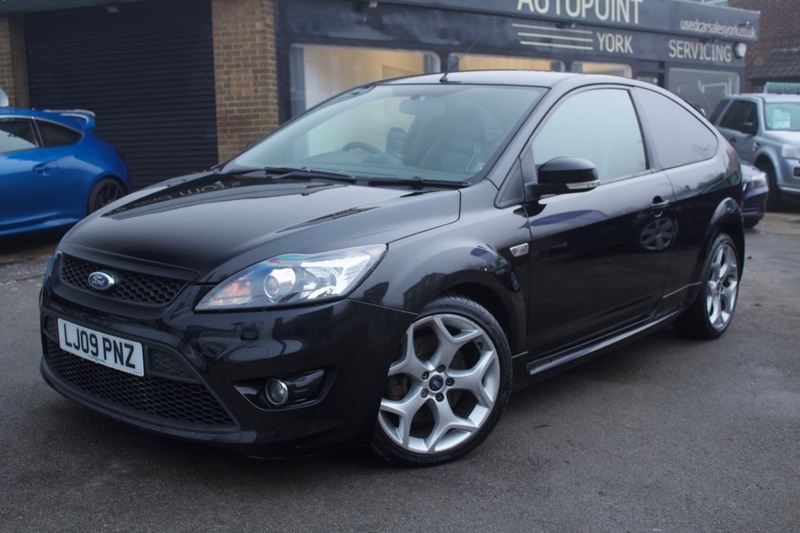 Say Hello to our Ford Focus ST-3 in Metallic Black. Our ST-3 has received upgrades thanks to the Mountune modifications allowing this pocket rocket to be pushing around 260BHP. This car is perfect for anyone looking for a true drivers hot hatch due to it's superb handling and it's noticeable exhaust note. It also comes with ABS, Air Con, Electric Windows, Body Coloured Bumpers, Cup Holders, Engine Immobiliser, Electric Mirrors, Front Air Bags, Front Fog Lights, ISOFix, Heated Leather Recaro Sports Seats, Privacy Glass, Side Impact Airbags, Speakers, Steering Wheel Controls, Traction Control, Xenon Headlights.